Welles is one of the legendary film directors whose persona has been created through a myriad of myths and legends. Enfant terrible of American cinema, his groundbreaking entry into Hollywood with "Citizen Kane" propelled him to fame as a young prodigy and unfailing genius. Many studies to date have focused on this aspect of Welles, highlighting his clashes with film studios to paint a turbulent picture of an artist repressed by his producers. 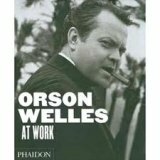 In this book, however, by returning to the original works and analysing the primary sources, the authors strip back the myths and rumours (many of which were created and fanned by Welles himself) to draw a realistic portrait of this most remarkable filmmaker at work. Welles possessed an exceptional ability to adapt and radically change the stylistic choices of a film to suit his production conditions.His artistic vision was so intense that the various different methods he used from one film to another, and even during the same film, inescapably led to a work stamped with his seal. Whether in control of every detail or deliberately delegating to his team, meticulously prepared or urgently improvised, Welles delighted in working to extremes and was never afraid to challenge the seemingly insuperable. This book recounts the various stages (from conception and pre-production, through the filming and editing to critical reception) of each of his films from the 1940s to the 1970s, including the celebrated "Citizen Kane", "The Magnificent Ambersons", "Othello", "The Trial" and "Touch of Evil".Discussion of each film is supported by numerous illustrations of screenplays and scripts, contracts, sketches, storyboards, models, production reports, memos, letters and correspondence uncovered by new research in European and American archives. In June 2007, "Citizen Kane" was once again voted the 'best movie ever made' by the American Film Institute. A position it has held since the institution opened its poll in 1998. The film has also been hailed by renowned directors worldwide the best film ever made, repeatedly topping the famous ten-year poll of the British Film Institute decade after decade. It is evident that interest in Welles never wanes and his remarkable body of work continuously attracts new devotees.